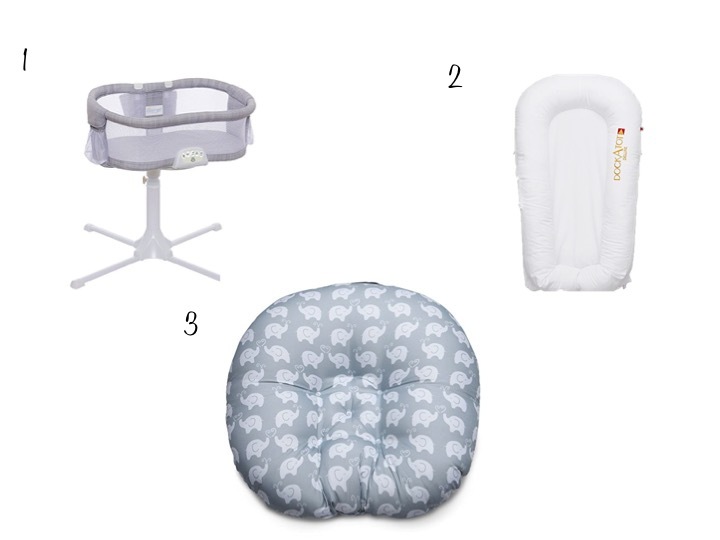 One of the top questions I get amongst friends and family is what my favorite baby items are. I thought it's about time I finally get some posts up with what got me through those first sleepy months with baby. One thing I will say is we have never had a good sleeper. Sloan was tongue tied unbeknownst to us for the first three months of his life which caused him to wake up every hour to two hours to feed because he wasn't able to get enough milk due to his latch (that's an entire separate post that I'd love to get up to help other Mom's out there - unfortunately doctors did not catch it!). By the time it came to getting him on more of a schedule, he had already been so used to waking up all night to eat, that we think he just never really got the hang of sleeping. Below are items that we loved and I will also add items that we wish we would have had. Most of our favorite items were inspired by Harvey Karp's, The Happiest Baby on the Block, which we highly recommend to all new parents. Disclaimer: every baby is different and sometimes it's a matter of trying everything you can to figure out what works for them (and you). Always remember that Amazon Prime at 3AM is your best friend! 1. Swaddle Blankets: Sloan loved to be swaddled. The tighter the better. We would swaddle him as if he were in a straight jacket whenever he was fussy or when we were putting him down for bed. We loved these blankets for during the day swaddles. 2. Battery Operated Candle: For the middle of the night feedings, we loved having the soft light to see instead of turning on an actual light in our room. I also brought this in my hospital bag and it was awesome to have when nurses come in and out all night (I'll do a post on my hospital bag soon). 3. Miracle Blanket Swaddle: This blanket allows you to get a really tight swaddle on baby. It's great if you have a squirmy little baby and they can get out of a regular swaddle blanket easy. Easy to use in the middle of the night for changes and feeds too. I've heard this swaddle is amazing as well. 4. Owlet / Snuza Alarm : Unfortunately I'm an anxious mom so this alarm helped me feel better about putting Sloan down. Today I'd recommend getting the Owlet (it wasn't available when we had Sloan). There is a lot of controversy over using any type of monitor on baby (people say it does the opposite of creating ease and makes parents more anxious) but I'm all for them. 5. Nuna Sena Mini Crib: We used this crib when traveling, but we also used it for the first three months. We put a bassinet inside of it and kept it near our bed. 6. Vornado Fan/Heater: This climate control fan/heater has really been great over the past few years. You can set it to 68-69 and it keeps the room at a perfect temperature for baby. 7. White Noise Machine: Harvey Karp is a big white noise guy, he says it mimics the inside of a mother's womb and keeps baby happy during the "4th trimester" so we added this white noise machine to our list. Sloan seemed to really like it which is why we own several. We take them on vacation, his daycare had one, etc. They are great for adults too! 8. Baby shusher: Again, Harvey Karp talks in his book about shushing babies and how it immediately calms them down. We bought this for when we couldn't shush anymore. It worked really well to snap Sloan out of a crying fit. We would bring it out and about too, just hung it from his carseat. 9. Fitness Ball: This ball was our best friend. Sloan had a stage where he cried every single day from 4:30 p.m. to 9:30 p.m. and bouncing him on this ball was the only thing that kept him quiet. We used this to bounce him to sleep a lot of nights too. It worked very well for us. Highly recommend for fussy babies. 10. Baby monitor: A friend recommended this monitor and we are so glad she did. It has insanely good reviews on Amazon too! The range is incredible. I hear people also love the Nest which allows you to log in from your phone to check on baby. 11. Moses Basket: We used this inside of our Nuna Crib at night, and for around the house during the day. It's so portable (and cute!) that we ended up taking it on trips too. Here's an option on Amazon as well: Moses Basket. 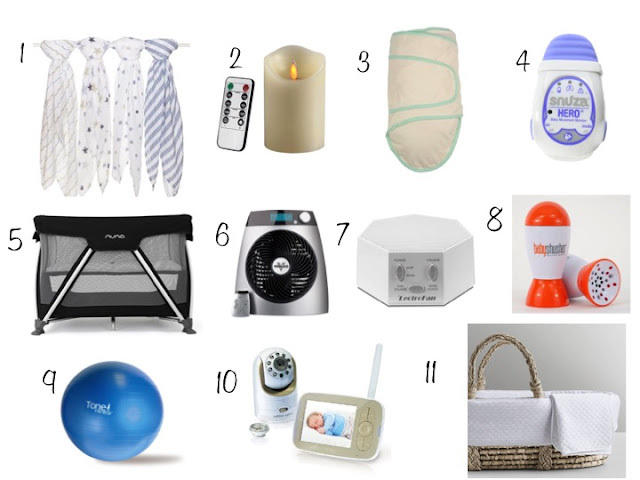 * Rock N Play: One last item that I don't recommend you keep your baby in for sleeping long periods of time, but is great for the living room as a swing/nap station during the day is the Rock N Play. Sloan never liked the swinging functionality, but he did sleep in it well. It's also nice if your baby has acid reflux because it keeps them at a bit of an incline. 1. Halo Bassinet: Reaching in and out of the portable crib all night long was not great on my back. It would have been so nice to just swing a bassinet to the edge of the bed to nurse and swing it back over. 2. DockATot: I've heard that people really like this lounger. I think all of these items do get redundant (how many items do you really need to place the baby in/sleep in) but moms swear by it so perhaps I'd give it a try or at least borrow one. 3. Boppy Lounger: This lounger is extremely portable and you can place it anywhere to keep baby put. I didn't have something that allowed the baby to see out as much as it could from something like this, the Rock N Play keeps the baby positioned lower as does the bassinet. 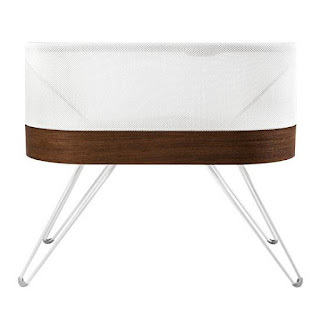 AND, since I'm such a fan of Harvey Karp, I'd add getting the Snoo Smart Sleeper to my wish list. It's extremely expensive but I can only imagine it works wonders since he is such an expert in this category!